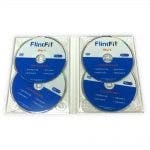 FlintFit DVDs contain safe, full body stroke rehab exercise videos for the legs, core, arm, and hand. Each video is guided by licensed therapists using exercises straight from the clinic. 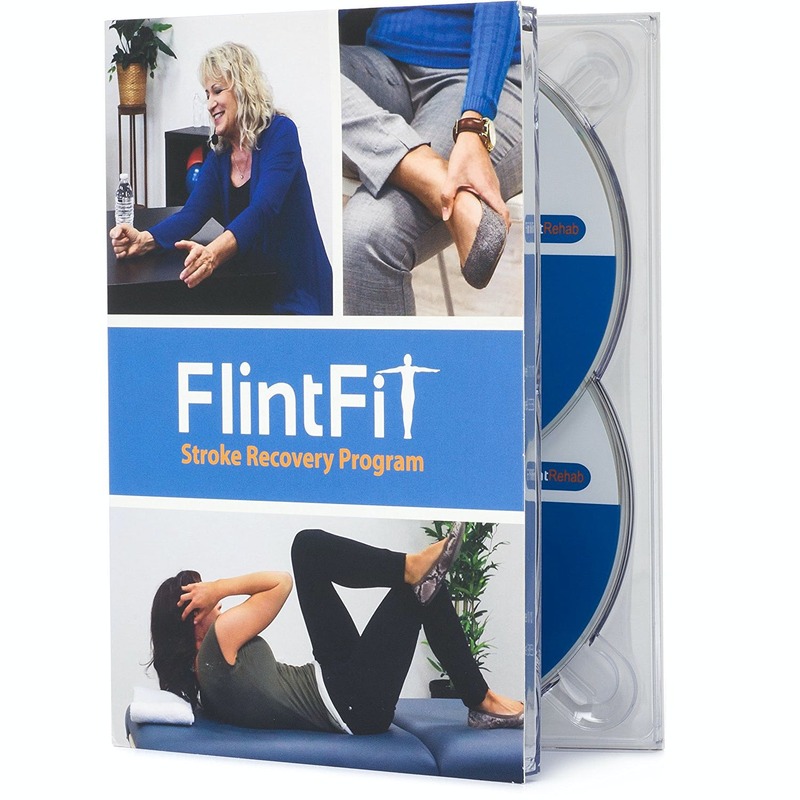 You get a total of 4 DVDs containing rehab exercises for the legs, core, arm, and hand. Each DVD contains different levels of exercises, including warm ups, Level 1, Level 2, and Level 3 exercises. 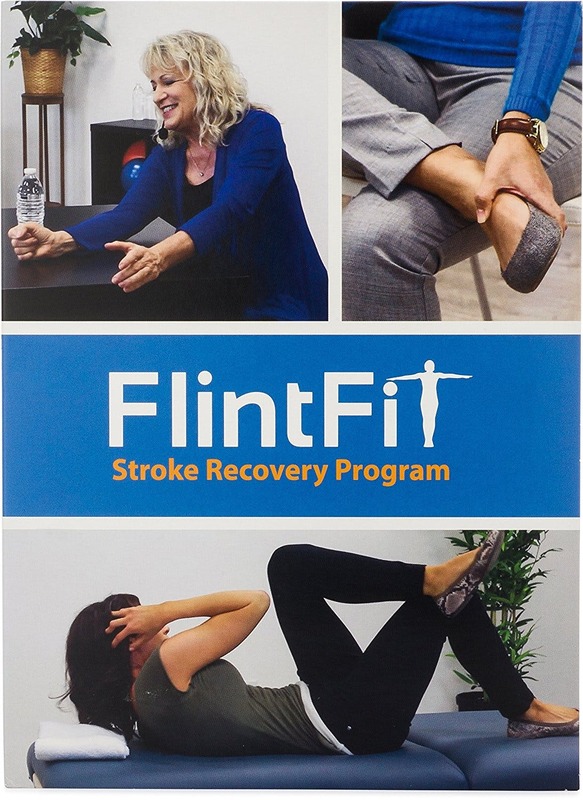 FlintFit is perfect for anyone rehabilitating from a stroke. 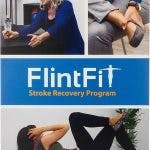 If you suffer from post stroke paralysis, then you can perform the warm up exercises passively until you regain enough movement to move onto active Level 1 exercises. Hand Level 1 (10 minute video) Exercises: Wrist lateral movement, Wrist flexion, Palm Flipping, Finger nerve glide, Wrist extension, Wrist place and hold, Finger place and hold, and Hand slide. Hand Level 3 (10 minute video) Exercises: Digit lifts, Finger curl, Pen spin, Coin drop, Coin slide, Page turn, Paper fold, Paper rip, Paper crumple, and Paper flick. Arm Warm-up (5 minutes video) Exercises: Hand clasp, Wrist stretch, Arm stretch, and Weight bearing wrist stretch. 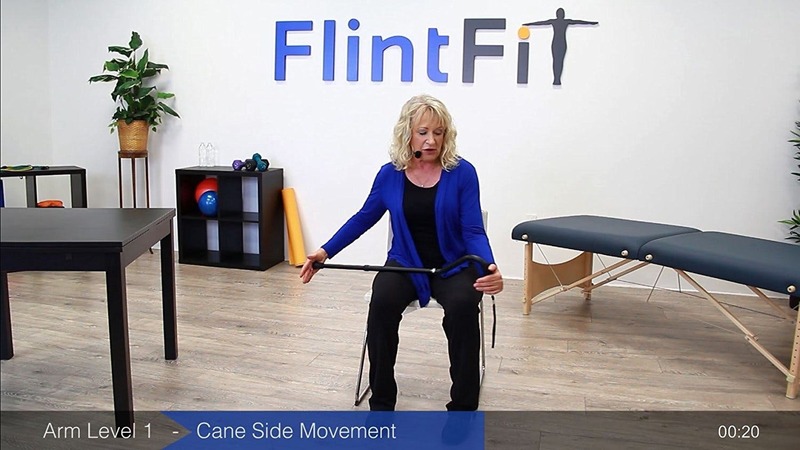 Arm Level 1 (10 minute video) Exercises: Cane side movement, Cane leaning, Cane circles, Cane lateral movement, Cane reach, Straight bottle push, Side bottle push, and Arm circles. Arm Level 2 (10 minute video) Exercises: Punching bottle, Bottle pushing, Wrist supination, Bicep curl, Shoulder Roll, and Desk pushes. Legs Warm-up (5 minutes video) Exercises: Weight support, Butterfly stretch, Hamstring stretch, Calf stretch, Ankle adduction and Ankle abduction. Legs Level 1 (10 minute video) Exercises: Weight bearing with legs crossed, Hip external rotator stretch, Ankle Dorsiflexion, Ankle circles, Hip external rotation, Knee extension, Hip flexion, and Assisted toe raises. Legs Level 2 (10 minute video) Exercises: Seated marching, Knee extension, Hip abduction, Toe Clasp, Toe Raises, Heel Raises, Ankle Eversion, Ankle Abduction, and Partial sit to stand. 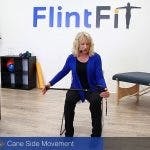 Legs Level 3 (10 minute video) Exercises: Draw a V with foot, Draw an 0 with foot, Draw letters on the ground, Bicycle, Reverse Bicycle, Hip external rotation, Heel slides, and Assisted sit to stand.